Ultima Financial Planners history goes back to 1992 when Gerrit Viljoen Finansiële Adviesdienste (Pty) Ltd was founded. Gerrit is active in the financial planning industry since 1986 and started Ultima with the focus to provide personalised financial advice, financial planning and retirement planning as well as financial services to people looking for financial freedom and peace of mind. Ultima was founded in 2000, incorporating Gerrit Viljoen Finansiële Adviesdienste (Pty) Ltd. In a bold move at the time, Ultima became one of the first companies to adopt the approach where financial planning and advice is offered as a professional fee-based service. This service model puts the emphasis on objectivity where financial advice, financial and retirement planning is provided with the best interest of the client at heart, and not on the basis of selling financial products. 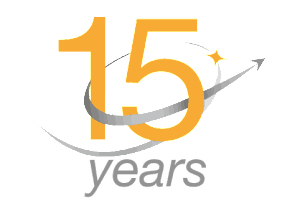 Over the past 15 years, Ultima has grown into a reputable brand and financial partner. We are trusted for our expertise, distinguished and personalised service. We truly care about your future, helping you to build a meaningful life and enjoy lifelong peace of mind.